The economy faces glaring uncertainties going into the new year and shoppers are being exceptionally careful on where they spend their money. This has lead to the return of the sub £20 mobile phones. As smart phoneS took off around 4 years ago, so did the average price of mobile phones. However simpler models have now made a comeback. Leading the pack are Samsung, LG and Alcatel. The Alcatel OT-209 is one such example. It is a simple phone that does its job, plus it has FM radio for music on the go. With bigger buttons, Alcatel seems to have stuck to the idea of making a simple phone, that is easy to use. The Facebook phone namely the Vodafone 555 Blue which was announced in July is finally available for sale from the mobile phone operator Vodafone. The smartphone is the first prepay handset to come with a Facebook button in the UK. It looks quite similar to the HTC ChaCha handset as they share the same colour scheme and looks along with a dedicated Facebook button. The handset is manufactured by Alcatel which is famous for providing street-smart mobile phones with features and functions albeit at a low price. The Vodafone 555 features a 2MP camera with flash, a 2.4-inch non-touchscreen QVGA display and a full QWERTY keyboard. There is no 3G or Wi-Fi though it has Opera Mini browser which comes with its compression capabilities thus enabling faster web access while saving bandwidth. The handset is powered by its proprietary OS. The smartphone will be sold for £70 both in stores as well as online from Vodafone. This includes a top up of £15 by which users will be provided 200 minutes, 600 texts along with 100MB of web access. You can also grab the device for £62.50 which can be used only on Vodafone’s network. It has just been three months that the Samsung Galaxy S2 has hit the stands and the white version of the handset is already on its way. Don’t keep your mouth open in awe; it is indeed going to be available from 1st of September 2011 in the UK. The white Samsung Galaxy S2 has been promised this September by the Korean mobile phone manufacturer and mobile phone operator Vodafone has already added the device to its ‘Coming Soon’ page. The white version would be available both online as well as in stores. However, Vodafone has not mentioned any further details such as pricing or release date of the device. As the white version is no different from the black one in terms of software or hardware, the device is said to cost the same as that of the latter. It means that Vodafone’s monthly tariffs would start from £36. However, Vodafone will not be the exclusive carrier for the white Galaxy S2. The Galaxy S II is slimmer, lighter and faster. It is a mere 8.49mm thick, weighs only 116g and has a huge 4.27-inch Super AMOLED Plus touchscreen. The device comes pre-loaded with the latest Google’s Android 2.3 Gingerbread. Also bundled are a 1.2GHz dual-core processor and 1GB of RAM. And of course adding value is an 8MP camera capable of recording HD 1080p video. Korean Mobile phone manufacturer has added a durable touch screen device to its portfolio of mobile devices, which can resist water and is tough enough to resist wear and tear. The Smartphone is called Samsung Galaxy Xcover. Xcover is made up of IP67 dirt and dust resistance, which not only gives it rough and tough look but also can resist water as deep as 1 meter up to 30 minutes. Xcover is built on Android 2.3 (which is more popularly known as Gingerbread) and is powered by an 800 MHz processor. It is interfaced via 3.65 inches wide touch screen, which is made up of tempered glass, a unique glass made in Samsung labs to make it four to five times tougher than normal glass. The tempered glass makes the touch screen to be scratch resistant. Samsung is also introducing a new ‘Social Hub’ feature through this Xcover Smartphone. This feature allows users to update instant messenger status and social networking status updates in one place. The phone also comes with 3 megapixel autofocus camera with LED flash. This LED flash can be converted into torch through Android application. After ZTE, now Shenzhen based China’s largest networking and telecommunication equipment supplier, Huawei is also planning to follow HTC’s success path to launch its own brand Smartphone in UK market. It is third- largest mobile telecommunication infrastructure equipment supplier in the world. Huawei’s debut Smartphone is built on Google’s Mobile Operating System Android. Huawei has been acting as third party manufacturer for carriers and other major mobile manufacturers. Yes Huawei is planning to launch Blaze it first Mobile on its own brand across UK in another one month. This will be a Smartphone based on Google’s Android Mobile Operating System. Hauwei Blaze is a modest Android based Smartphone interfaced through 3.2 inches touch screen and is equipped with 3.2 megapixel camera and is built on 2.3 version of Android mobile operating system. Unique selling point for this phone is front facing camera, which is rear feature for a phone of mid range. Right now hints were that O2 and Vodafone might be network providers who may stack up this Smartphone and will be bring it to UK users in a month time from now. Korean mobile phone manufacturer Samsung is geared up to come with an updated version of its already popular Galaxy S2 smartphone very soon. The device which will is codenamed as Celox is targeted against the soon to be launched Apple iPhone 5. Celox which is expected to be released in September is said to come with an appeal coinciding with the Apple’s successor to the iPhone 4. The new handset will boast a 4.5-inch WVGA Super AMOLED Plus display which is little bigger than the 4.3-inch screen of the Galaxy S2. The Celox will come with LTE/4G compatibility. The device is said to be powered by the Qualcomm APQ8060 SoC (coupled with the MDM9200) rather than the Samsung’s own Exynos 4210 SoC. It also features an 8 megapixel camera, a 1750mAh battery, 16GB onboard storage, a microSD card slot, Bluetooth 3.0, Wi-Fi, GPS, TouchWiz UI 4.0, and runs on Android 2.3 OS. Moreover, there has been a steady fall in the price of the Samsung Galaxy S2 in the past few months. It is being anticipated that the S2 might be replaced by an even more powerful smartphone, which could probably be the Celox. Alcatel has launched a new cheap touch phone Alcatel One Touch 602 with England Rugby team theme and O2 pepping up to make it available across UK. Yes O2 is launching another pocket friendly touch phone from Alcatel, the Alcatel One Touch 602 and interesting this is this touch pone is centered on the England Rugby team theme. It is little dynamite in your pocket of 2.4 inches diagonally size and capable of showing you content at 240 X 320 pixel resolution. It is powered by a just modest processor of 102 MHz power, which is not sufficient enough to run a phones of this many features. It is also equipped with 2 MP Camera and comes with 4 MB of internal memory, which can be expanded via microSD cards, which just enough to store pictures taken through this phone. Charged via micro USB charging is running with backup of 850 mAh battery. It is again not so attractive in terms of network capabilities. But it is expected out of the phone of that price. It does not come with 3G or Wi-Fi connectivity. You need to manage your Facebook and Twitter via GPRS only. Only feature other than price, which should drive the sales of this small phone is its theme, which is targeted to attract rugby fans of England. Samsung Galaxy R from the Korean mobile phone manufacturer which was announced last month has now been confirmed to land the UK market which was earlier not sure about its UK availability. The Samsung Galaxy R is a cheaper version of the Galaxy S2 which is set to be positioned as an alternative to more affordable version of the iPhone 5. It features a 5-megapixel rear camera coupled with HD video recording capabilities and a front facing camera of 1.3-megapixel for video conferencing. The Galaxy R is powered by a Nvidia Tegra 2 SoC along with Nvidia GEFORCE GPU rather than the Samsung Exynos 4210 making it even more powerful than the S2. This means that the handset comes with the latest mobile gaming technology. The handset which runs on Android 2.3 Gingerbread packs onboard storage of 8GB, Wi-Fi and a microSD card reader. Users can control the Galaxy R remotely using a new feature called Kies Air. The Galaxy R features a 4.1 inch Super LCD touch-screen rather than the Super AMOLED one which comes with the Galaxy S2. Also, the R is slightly thicker and 15g heavier than the S2. However, this does not matter much as the R boasts powerful features at a cheaper price. The exact release date and price of the device are yet to be announced. The much awaited Android 3.1 update is finally available for Motorola Xoom tablet in the UK region. Motorola has now confirmed that it has released the Android 3.1 update for its UK Xoom users. As such, the developer community who have been waiting for the newer version of OS since a long time finally gets relieved with this announcement from Motorola. However, Android 3.1 was made available for Xoom users in the US 3 months ago when it was debuted. This Android 3.1 update includes a complete set of system performance upgrades and refinement such as placement, font changes and so on. The update will bring with it improved multitasking abilities, better widgets, more connectivity options to support keyboard and mouse along with an array of other enhanced features. Users can also extend the storage capacity of the tablet up to 32GB using the micro SD card slot included in the device. Also included are Wi-Fi Lock and compatibility with joystick and game pads. Earlier there was no wide range of support for USB devices. Thanks to the Android 3.1 update which allows you to connect anything from an Xbox 360 controller to an external hard drive with no obstacle at all. Simply saying, you can now use your Android 3.1 device as a USB host. HTC has entered into Beats Audio to enhance speaker capabilities of its range of Smartphones. Sources from both HTC and Beats Audio have confirmed news of this partnership. HTC believe that Music industry is in state of transition and is moving from pocket music playing devices to phones. Phone devices with A+ audio capability is recipe for success in current trend. HTC had sensed this right trend and had entered into partnership with Beats Audio to enhance music playing capabilities of its range of Smartphones. HTC believes that enhanced music capability due to this partnership with not only enhances the capability of headphones but it will enhance the holistic experience of Smartphone themselves. HTC is planning to enhance speaker system of Smartphone not just headphones of the Smartphone. HTC has made a strategic investment in this partnership, where it buys the Beats rather than licensing it. As per this partnership HTC has entered into a total ownership partnership with Beats but partnership is designed in such a way that others can also license Beats technology of course for other than Smartphone only. Sources from Beats also confirmed this Smartphone exclusive partnership with HTC. ZTE, which has been behind the scenes third party manufacturer for many mobile handsets manufacturers and network providers, has decided to enter into market with its own brand name. It is trying to replicate success story of HTC and prepared blue prints to be one of top three mobile handset manufacturers by 2015. 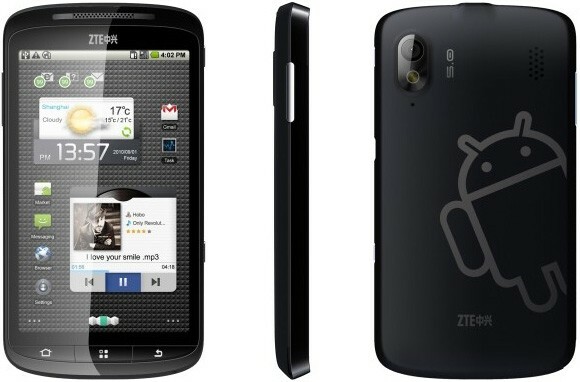 To achieve its goal ZTE is planning to release its first Android based Smartphone, called Skate, across UK. ZTE is working with Kineto wireless pre-load Skate with Smart Wi-Fi application. Kineto is leading wireless solution developer for mobile operators and handset manufacturer. Kineto has innovated an application called, Smart Wi-Fi application, which will come preload with ZTE’s Skate Smartphone. Kineto is also working with Wi-Fi operators and manufacturers to provide subscribers indoor coverage of Wi-Fi with existing access points. ZTE is expecting to ship 80 million handsets by the end of this year to be among top three mobile manufacturers in next 4 years time frame. Preview of ZTE Skate android phone has already been released and pictures of the same are available on online media. If reports are to be believed the first ever QNX powered BlackBerry Smartphone from Research in Motion is anticipated to be released in the Q1 of 2012. The Smartphone was earlier expected to be launched in the second half of 2012. It is being claimed by a technology blog BGR that the Smartphone which is codenamed as the BlackBerry Colt would hit the market in the first quarter of 2012. However, exact timing of the release would depend on the testing period. It is already a known fact that the BlackBerry’s QNX powered PlayBook tablet failed in capturing the market share. As such, the QNX based smartphones are expected to give tough competition to Apple and Android devices. The blog also reports that the Colt will support ActiveSync e-mail software of Microsoft rather than BlackBerry Enterprise Server platform as there were complexities in re-writing the BES code for the new software platform. The BlackBerry Colt is said to be powered by a 1 GHz processor rather than the dual core processors announced earlier. Additionally, three new BlackBerry OS 7 devices powered by a 1.2 GHz processor have also been announced by RIM recently. T-Mobile is providing extra protection for its HTC Sensation 4G Smartphone users. It is providing a tough case, which is composed of toughest protection. D30 line of protection, it is called as, is being offered by T-Mobile for its customers to protect their valuable Smartphones and tablet devices, which provides an extra edge protection and to provide that extra edge protection it is made up of proven toughest technology, which is used by US special forces. Sidekick 4G, Galaxy S 4G and T-Mobile G-Slate are other devices, which is compatible for this range of protection cases along with HTC Sensation 4G. This range of protection cases is also available in different colors and styles in near future. These cases are made up of intelligent based material, which can absorb impact from device which is being protected and has shock absorption capability in a sleek design. When device along with case is dropped, then molecules of the case get together and absorb the shock away from the device and protect the devices. Movie freaks in the UK will be elated to know that the UK network operator Orange has come up with a new Film to Go service using which Orange users can rent a movie for free from iTunes every Thursday. Orange has joined hands with Apple to offer such a service for the first time so as to offer free movie downloads to its customers which includes a mixture of recent iTunes releases and cinema classics, thereby offering a variety of genre. Orange users willing to download a movie need to send message “filmtogo” to 85060 from their devices who will then receive a code on Thursday. On submitting this code to the Orange Film to Go website or the Orange Film Club Facebook page, users will be redirected to iTunes for the movie download. The text message will be charged 35p. It should be noted by the Orange users that the movie will be valid only for 30 days and also that once started to watch it, the movie should be finished within 48 hours. Then, it gets automatically deleted. Unfortunately, Orange will be selecting the movie by itself thereby not allowing its customers to go with the movie of their choice. The first movie to be offered by Orange this week is ‘My Blueberry Nights’ starring Norah Jones and Jude Law. Nokia N9, the much awaited Meego handset from the Finnish mobile maker is finally geared up to hit the UK store shelves on September 23rd as per reports. It has been officially confirmed by the Nokia’s Swedish website which also placed a countdown clock showing the official launch date of the smartphone as 23rd of September. Earlier, it was anticipated that the N9 smartphone will hit the UK market on September 15 itself. The N9 has the biggest display and highest resolution so far for any Nokia phone (3.9 inch, 854 x 480 pixels). N9 is going to be the first Meego powered phone and looks like the Apple iPod Touch in its rectangular form. The handset will sport cyan, pink and black colours. It comes with 1GB RAM, 16GB in-built storage capacity and it can support four-band GSM support as well as five-band CDMA support. NFC, Bluetooth, microUSB port, Wi-Fi network and AV connector are all available for connectivity. The handset also features microSIM card slot, an 8 MP camera with double LED flash and Carl Zeiss optics. N9 will have 11 hours talk time on GSM, about 7 hours on 3G while the standby time will be 380 and 450 hours respectively. Most anticipated Android based Tablet device Samsung Galaxy Tab 10.1 is finally hit UK consumers and Yuk Lin Wong has been the first customer to lay her hands over first Samsung Galaxy Tab 10.1 in UK. Samsung’s Galaxy Tab 10.1 has been in news from a quite long time. It is built on Android Honeycomb version, which is optimized for Tablet devices. It is thin enough when compared to its peers measuring 8.6 mm and weighing 565 grams, which is lighter than many of its comparable tablet devices. The device has been open for pre-order from last fortnight and has been up for sale from last week. Samsung Sources have been very excited about the response they got during pre-booking period of lightest and slimmest Tablet device available in market. Samsung Galaxy Tab 10.1 tab is available in two flavors 3G version of Wi-Fi only version and is also pocket friendly of its league and is priced at £399. Samsung has been trying to be front runner is race for tablet devices. Version 2.1 has been released by Skype for Android app which will be supporting video calling feature on more Android devices. Only few Android based devices viz. Sony Ericsson Xperia Neo, HTC Desire S, Sony Ericsson Xperia Pro and the Google Nexus S were allowed earlier to enjoy the video calling feature of Skype. Thanks to Skype version 2.1, which now extends video calling support to 17 new Android smartphones and tablets which include HTC Desire, HTC Desire HD, HTC Thunderbolt, HTC Flyer tablet, Sony Ericsson Xperia Play, Samsung Galaxy Tab along with Samsung Galaxy S.
Not simply this. Also included with this release are a few bug fixes along with the support for new devices. The devices which are not listed by the company are also allowed to activate the video calling feature on their devices through the Skype Settings option in the app. However, if users do not find the video calling settings on their Android devices, it indicates that their device lacks the minimum requirements needed to make Skype video calls. Also, the quality of the video calls may not be as good when compared to that on a certified Android device. The company also says that only rear camera of the device will be working if it runs on Android 2.2 Froyo. It is almost certain that this news is going to be lapped up by everyone. Blackberry Bold 9900, otherwise called as the beast, is now available to pre-order from the Vodafone website. The exact date of the launch is as yet unknown, but as per information doing rounds, the device would be launched by August 18th. The prices are listed on the website and the Bold 990 can be picked up on a contract that costs £41 a month. The contract includes 1200 minutes, unlimited texts and 500 MB of mobile data. This, however, doesn’t really compete with the offer on Bold with the competitor Three. The Blackberry is available on Three free on the One Plan for £40 a month. This plan includes 2000 minutes, 5000 texts, 2000 3-to-3 minutes and unlimited mobile data. This handset is the new flagship smart phone from the stable of Blackberry. It runs on the new Blackberry OS 7. The features of the Blackberry Bold 9900 include a 2.8 inch touch screen, full QWERTY keyboard, 1.2 GHz processor, 768 MB of RAM and a 5 mega pixel camera. How the handset would be received in the market is something that is sure to grasp your attention in the coming weeks. Keep tweeting and tuned to mobile hub! Androidandme has all the requisite features to enthuse the market. The 4.7 inch model boasts 1280X720 pixels screen resolution allowing it to carry a HD ready logo. The pixel density is 312 ppi which is just short of that of the iPhone which comes with a 314 ppi. As of now, the biggest smart phone from the stable Sony Ericsson is the Xperia X10 – this comes with a 4.3 inch screen. Androidandme comes with a size of 4.7 inches. Of course, this doesn’t necessarily increase the device’s dimensions if Sony manages some clever modulations. Going by its size, the competitors for this model would be the 4-5 inch Samsung Hercules, the Dell Streak that comes with a 5 inch screen and massive 7-inch display phone from Samsung – the Galaxy tab. There is no news as to when the model would be available. Going by the sign of things, it seems that Sony is looking to gate crash the Apple party. The new range of super smart phones including the 3D model is a pointer in this direction. With tablet world becoming more and more popular, Pierre Cardin, a well known brand in the fashion industry is also geared up to join the burgeoning Tablet PC market where we have already seen announcements from bigwigs as well as smaller players joining the fray. Pierre Cardin, the France based fashion house has launched its first ever designer tablet, known as PC-7006 in the United Kingdom. The tablet boasts a 7-inch touchscreen. However, the overall size of the tablet is said to be almost same as that of the BlackBerry PlayBook of RIM. The PC-7006 features 512MB RAM, Android 2.2 Froyo and no rear camera. You can access 3G only via an attachable dongle. The tablet has been probably designed to lure fashion freaks rather than technology freaks as it does not come with much advanced features. The tablet can hardly be called as ‘Size zero’ model as it comes with a thick casing of 1.4 inch which is almost double than that of the Apple iPad. It also comes with a metallic Pierre Cardin logo along with a black gift box. The Pierre Cardin tablet PC is said to be of perfect size so as to fit in the palm of your hand according to the Pierre Cardin website. You can place your hands on the tablet by shelling out £275.